A hi-res version of the film can be seen here , well worth a look on a large screen. 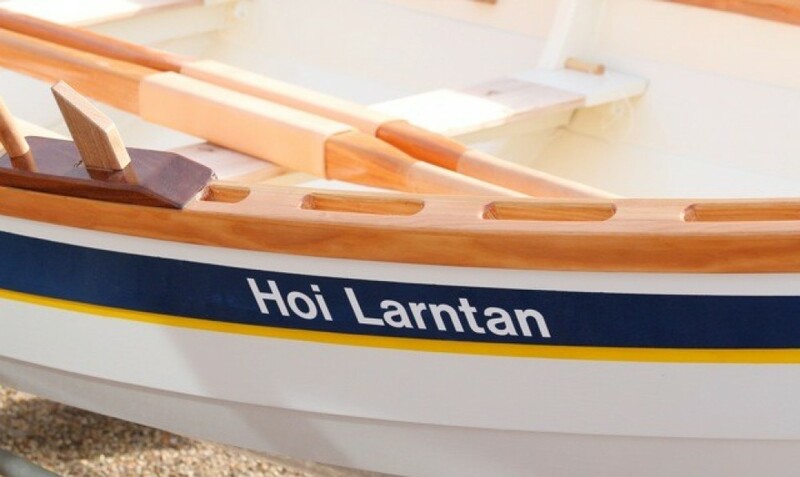 On Tuesday, our 2 skiffs, 1 from Kings Lynn, Victoria in her single Alden, 4 kayaks from BSC, and a Harkers Yard gig from the Marconi Club on the Blackwater, supported by Chris Taylor (photography), Barrie & Peter in powered craft rowed from Wells to Blakeney. The route traversed the marsh channels, emerging behind West Sands west of Blakeney point. Rob & Tom M rowed out from Blakeney to meet them opposite Stiffkey, whence everyone made for the Lifeboat station for refreshments before continuing to Blakeney (for more refreshments). Everyone made it in one piece, and the weather, clearing after rain early in the morning, was good, light wind and good sea state. Some initial pictures below – more to come later. Thanks are due to the towers, & everyone who assisted in safety boats, logistics etc. – a most enjoyable day was had by all. Award for greatest distance travelled goes to Victoria’s brother, visiting from Tiree, where he’s involved in a skiff build, due for launch in August – this was his first row in a St Ayles. More pictures to come, watch this space. Last Saturday saw Rob, Jenny, Adrian & Robin, coxed by Dan, compete in the Osea Island race – rather rough conditions with wind against tide, particularly for Jenny in bow, saw us record a time of 1:35:25, compared to last years 1:28:59. The Stone Sailing Club were as hospitable as ever, giving assistance to launch & recover, with food & drinks available before & after the event. Here’s a track of the race – 7 miles overall, excluding manoeuvring before start & after finish. These are now with the boats & available for use – all feedback welcome.